One of the immediate challenges of writing on the work of Paul Kuimet is to find appropriate language. Indeed, how is it best not to feel clumsy and ham-fisted when faced with it as a writer? What with its preternatural precision, crystalline clarity and uncanny elegance, it wants an entirely new language – one of light and shadow, of cinema, of atmosphere. The flat, unwieldy stuff of mere language does not suffice. But then again, such is the shared trajectory of virtually all interesting art: its initial hostility to words. This is not to say that this work is from outer space and without precedent, but that it certainly raises the stakes of seeing, and describing what is seen, in its own special way. Paul Kuimet makes films and photographic installations. The subject matter, which ranges from landscapes (often in the form of architectural details) to architecture to works of art, is at once perfectly banal and surprisingly strange. Its strangeness is liable to stem from how they are depicted or their formal attributes. Deceptively simple, their titles seem to suggest sketches and/or studies of the order of, say, the renaissance, as in the case of Figure-Ground Study (2016) or Perspective Study (2016), but the works themselves, for all the obliqueness, are anything but preparatory. 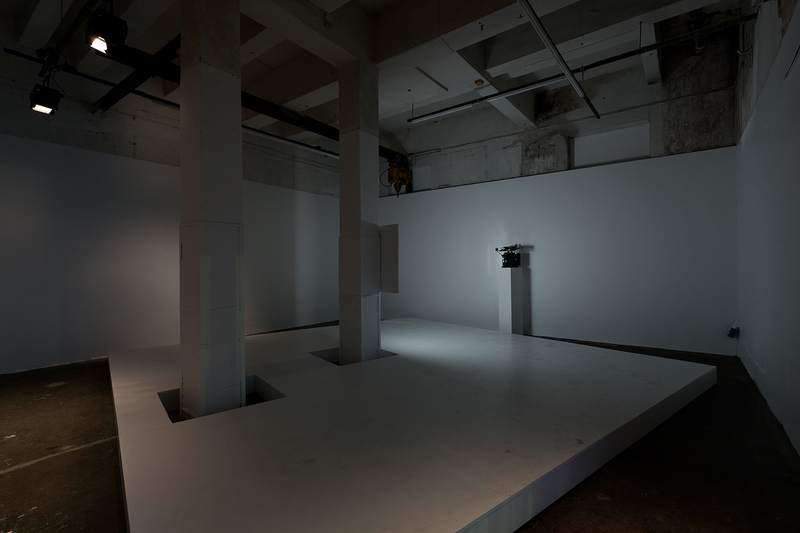 Highly considered and meticulously organised, they are elaborate investigations of a given instance in a day, and the minute shifts in perspective, light and shadow of which it may be composed. And yet for all the shifts and vicissitudes that the work describes, there is nevertheless a sense of time being arrested. Or if not of time being arrested, then somehow bracketed, removed from the usual, often break-neck flow, and made to linger upon. Indeed, his is an art of almost otherworldly loitering. 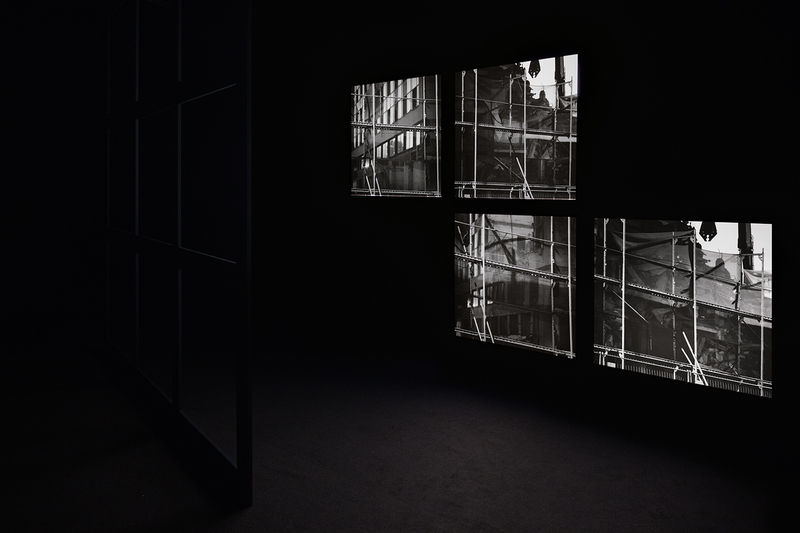 This alleged otherworldliness could have something to do with the quality of light depicted in his installations and films, in so far as his light tends to be crepuscular, of the order of the threshold, and therefore liminal. I am thinking not only of the atmosphere in the lightbox installation Figure-Ground Study, in which the light and reflection of another building thrown on to the glass facade of an adjacent building blazes with the onset of gloaming, but also of Perspective Study, in which the wintry tenor of late afternoon is contained in the shifting refractions of the mirrored surface of a building. 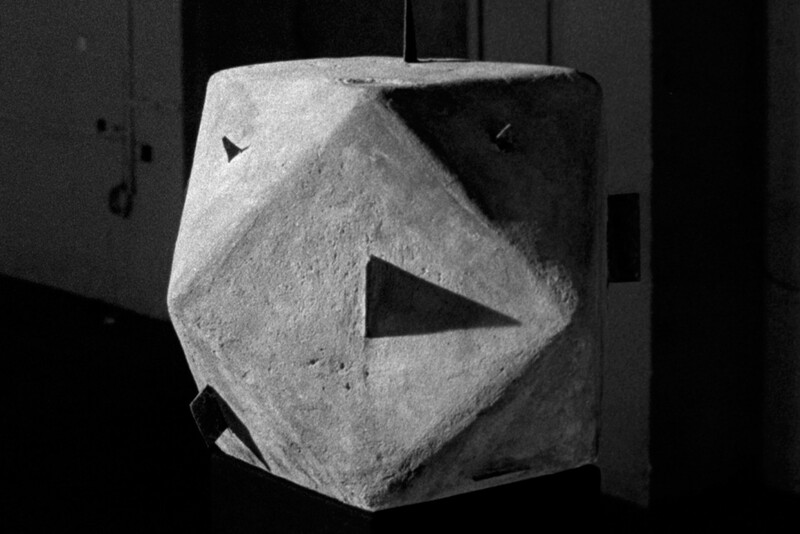 Indeed, it is perhaps no coincidence that this liminal or threshold-like quality is doubled by the fact that a number of the pieces depict the translucent surface of buildings, thereby emphasising the division between interior and exterior, which is at once visually porous and opaque. 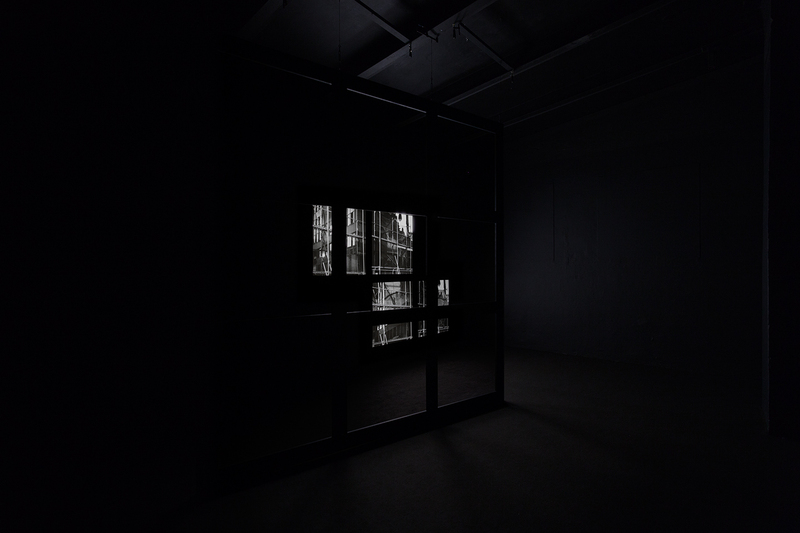 Additionally, it could just be me, but it seems that the 16 mm film Still Life (2016) is also seen through a window (or maybe I am just seeing this work in relation to the others, and projecting my own window on it). A stark and moving meditation on a kind of artificial crepuscularity, this 16 mm film portrays an orchid in an office setting, the whole of which seems as if it were reflected on a window to the right rear of the orchid, but is actually another orchid altogether. 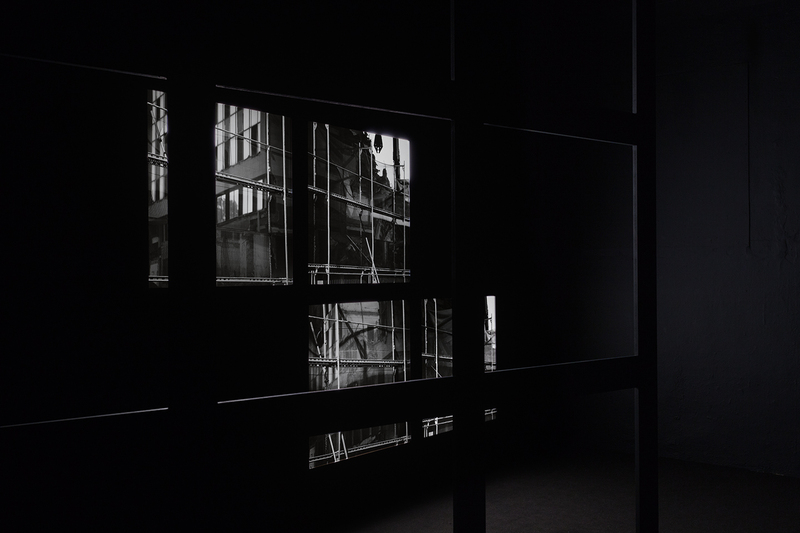 This pictorially spare and sumptuous film, which has been culled from ten photographs, and which have been digitally sutured together and animated through a series of darkening dissolves, is a 21st century still life. The anonymous office-like environment in which it has been filmed could literally be anywhere, and while this would seem to speak to the homogeneity that underlies the 21st century globalism, the manufactured moment portrayed in the film nevertheless possesses an uncanny character, as if it were somehow utterly unique, strange, and of a rare, unspeakable beauty. 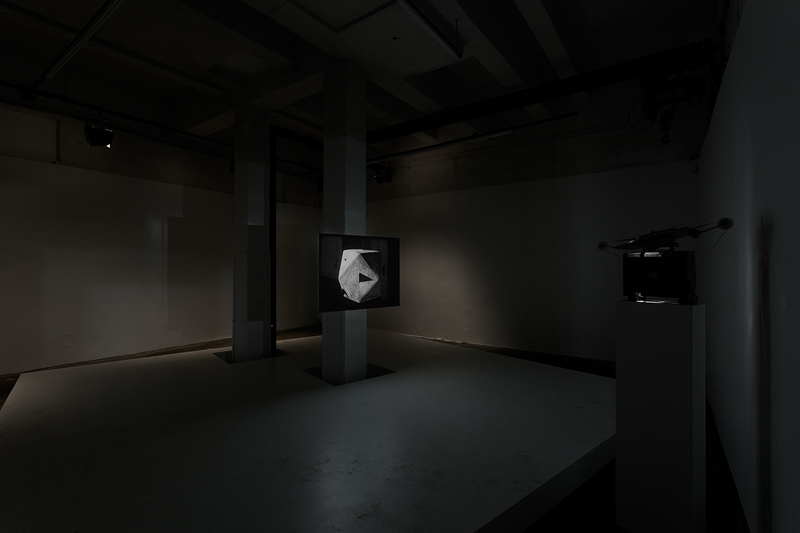 The fact that it is projected from a 16 mm projector, which could be interpreted as anachronistic, addresses one of the artist’s primary interests, which is if not the materiality of an image, then its density. For despite the crystalline, and therefore almost ethereal quality of his images, they wield a certain density, a kind of weightless solidity, which issues not from the subject matter, but from how considered they are and how much they themselves consider. 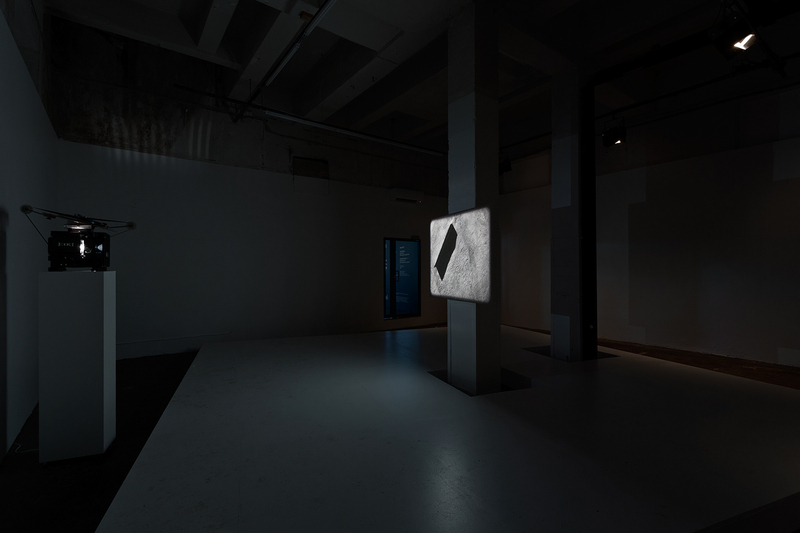 The flickering quality of light, matched by the sound of the projector, also serves to underline the materiality of what is projected on the screen – a materiality which is at once challenged and reaffirmed by the flicker itself, in so far as it both betokens the emergence and withdrawal of the image on the screen, like twilight, and the cycles of lightness and darkness it contains. Thus, Still Life is quite literally marked by many of the themes that preoccupy Kuimet, from the threshold of windows to the liminality of gloaming to the simultaneous ethereality and density of the work. That said, to state that this piece in particular and that work in general is about seeing sells it a bit short. Granted, it is indeed about that, but it is also so much more. Romantic with a touch of the gothic, this work covers a lot of ground – from light, architecture and sculpture to seeing itself. As visually sumptuous as it is conceptually understated and spare, its richness is hard to account for, and easily transcends the limits of this text.